A New Spin on Vinyl Classics. Group show organized with the help of Art Attack SF Gallery﻿. Records customized by Bay Area artists are exhibited at Churchkey Bar﻿ in San Francisco. I have two beautiful portraits on vinyl records on display there. More detailed photos are here﻿. Cute 2-day pop up art show featuring over 50 artists. Beautiful postcard sized art and an opportunity to buy affordable original pieces and prints. This show is curated by Happy Alligator Art Collective. ﻿ Check the video from the previous event. Please join us for The Anti-Valentine Show on Saturday, 2/9 at 6–9 pm. 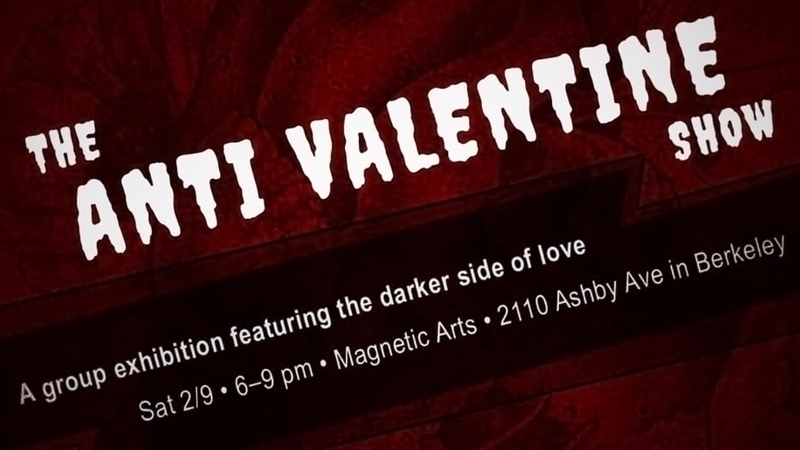 A group exhibition about the darker side of love—featuring the artists and friends of Magnetic Arts. 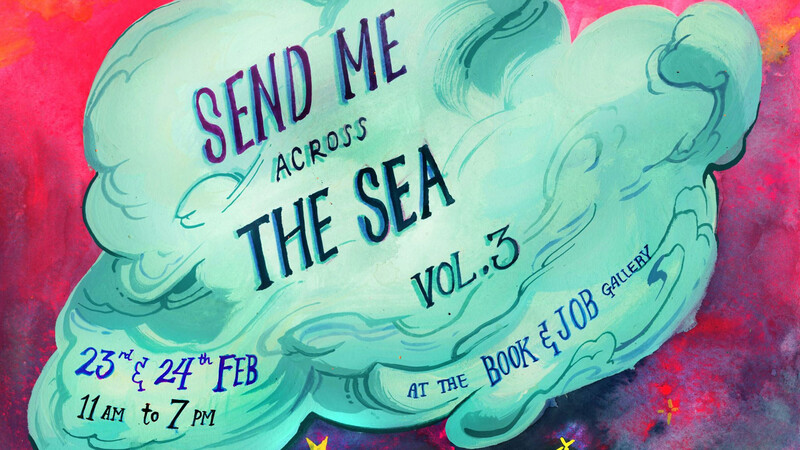 There will be light refreshments, music and an Exquisite Corpse drawing game. 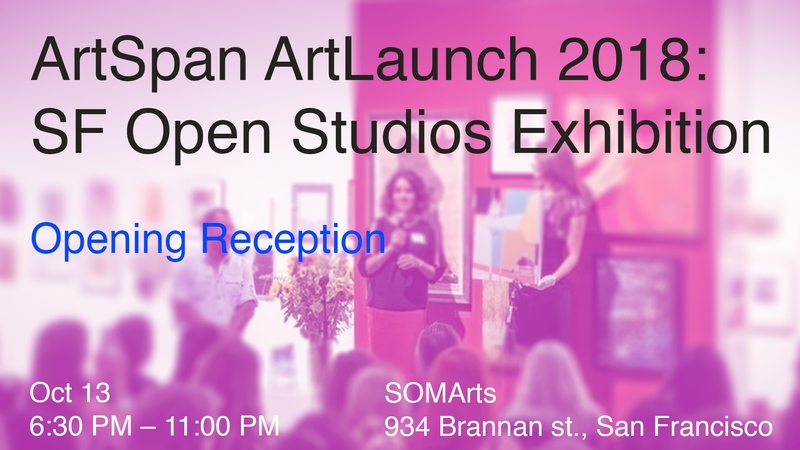 This exhibition featured 400+ artworks from Premier Artists who were registered for SF Open Studios. The gallery was be divided into SFOS weekends and neighborhoods. Visiting the gallery was a great way to get a sneak peek at all that SF Open Studios had to offer. I was a part of Group Open Studios this year too. It was great as last time. 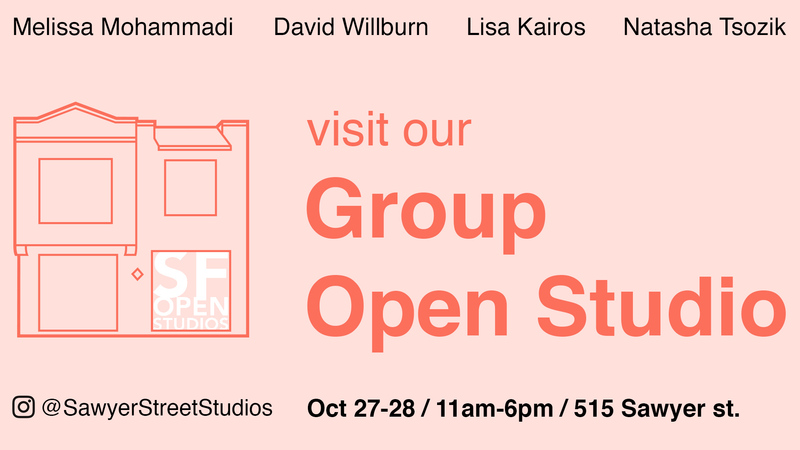 SF Open Studios is the oldest and largest program of such kind in the US, an annual, month-long art event in October and November that showcases over 800 local artists in their studios. Follow our Instagram & Facebook for udtates. Here's the post about the last year. You can see in person my intricate multilayered piece at Art Attack SF gallery﻿. 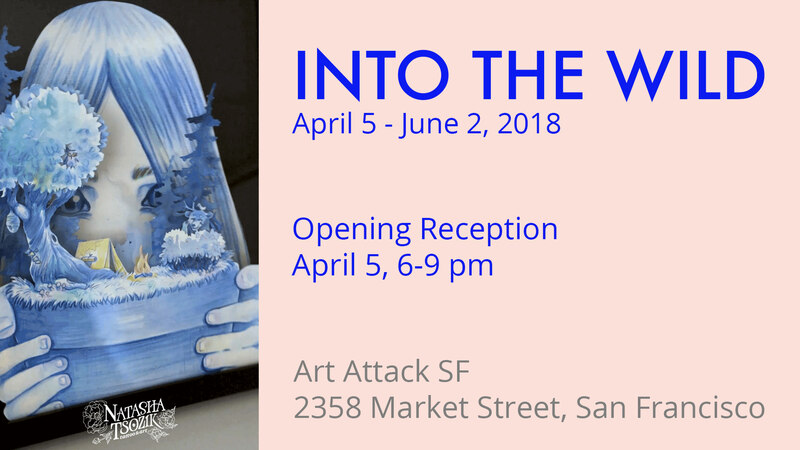 “Into the Wild” is a rotating group exhibition in appreciation of Earth Month. Cute 2-day pop up art show at the Book & Job Gallery﻿ that featured over 50 artists. Beautiful postcard sized art﻿ and an opportunity to buy affordable original pieces and prints. This show was curated by Happy Alligator Art Collective﻿. You can check photos from the previous show here﻿. The 3rd Annual 100 under 100 group art show. 100+ pieces of art all priced to sell at under $100. This year, artists donated some or all of their art to benefit the North Bay Fires. For all donated pieces, Fleet Wood﻿ donated the gallery percentage as well. It is the oldest and largest open studios program﻿ in the country, an annual, month-long art event in October and November that showcases over 800 emerging and established San Francisco artists in their studios. We had 6 artists group Open Studio in Visitacion Valley on last weekend in October. Check our Instagram. It was great: paintings, sculptures, creative workshops, gifts and more. Chocolate and Art Show San Francisco edition was fun:) I presented 4 of my works in different techniques. San Francisco's finest up-and-coming artists, photographers and creators. There was something for everybody including live body painting, live music, face-painting, live portraits and free chocolate. It was a group show that paid tribute to our best friends from the animal kingdom. 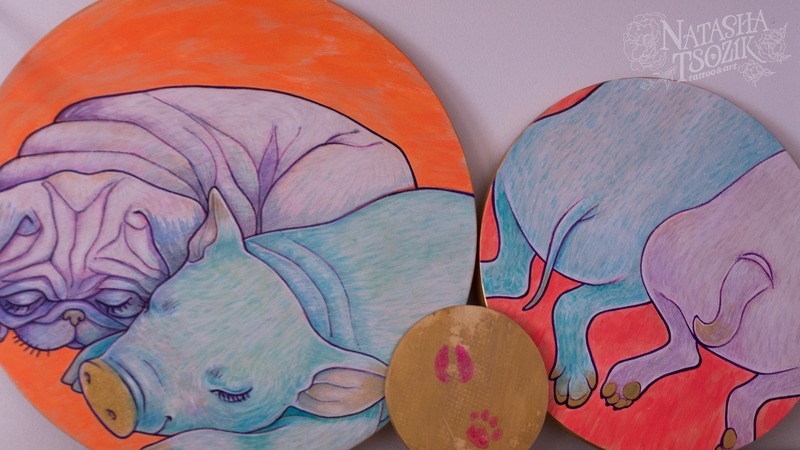 I had “Equal” triptych on view, showing that dogs and pigs are not that different. Art Attacks Cancer was an art show I participated in. Thanks Art Attack SF Gallery and Kids & Art Foundation for making it. ♥ 50% of art sale proceeds were donated to Kids & Art Foundation to continue helping children with cancer to do art. Check the photos from the event too. Had a ton of fun at this group art event organized by RAW﻿. Music, fashion show and visual art. Check the video to get a glimpse into my setting up and the show.